There has been a lot of chatter all over the web regarding Apple’s expected announcement of the iSlate tablet device on or around January 26, 2010. There are a lot of people with a lot of ideas about what the iSlate tablet is, what product niche it is designed to fill in Apple’s product line, what its features will be, and how much it will cost. While no one knows the specifics yet, I believe a lot of the rumors are slightly off-base. Everyone is wrapped up in what Apple has ordered from suppliers, what the iPhone can do, Apple’s supposed need to compete with netbooks, and pure desire for something new from Steve Jobs. There is a distinct possibility that the late January announcement is about an improvement in the iPhone. I peg this at a 60% chance. Apple is about the software & apps, and they’re just not there yet. What do you think? Post a comment below to go on the record. Let’s see who is right on this one! I agree that Apple will not price this device cheaply. If you look at the high prices of mac laptops, you’d get an idea of how much they will want to charge. The prices for the tablet will be in line with what they charge for their other similar devices. If they want to wow with the iSlate, it won’t be done with a low budget tablet. It will be done with a very powerful tablet that originally only wealthier people could afford. 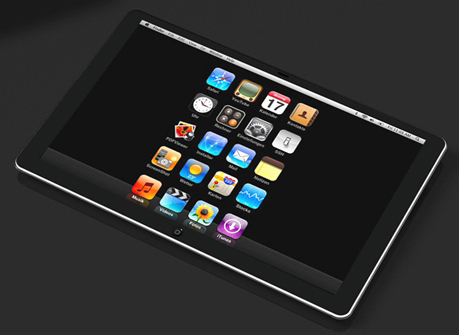 Apple is going to intro a tablet of some form. No iPhone. If true about Apple renting the Yerba Buena center, they are not renting it for a phone upgrade. Apple has never said anything about not releasing a sub $1000 device. It was more like a sub $500 device. Yes, you will not see a $400 device to compete with Netbooks. Netbooks are relative crap anyways. The OS’s, other than Linux, are really not optimized for them. The Tablet will not be more than $1000 unless they have some sort of uber configuration. How do you know they are “not there” with the software and apps? They have apparently been working on this for a while and I believe that. Will there be ALOT of apps? No. there were NO apps for the iPhone when it came out other than what was built in. I agree. I do not think apple is ever gonna create a product to compete with $400 notebooks. Btw, I have not heard much about islate. When is it expected to be launched? I heard it would be $1000, but you hit the big question is it a mac or a big Ipod. People who want a tablet want Photoshop and with a finger I don’t know how that is possible. I think you’re wrong, but before I say I why I want to clarify that the price of the device including connectivity is what’s important. Back to the device price, I think Gruber is correct – the tablet is destined to replace the macbook. Jobs wants to grow Apple’s under $1000 market and by offering a device more closed than a computer with the ability to purchase apps through the app store and receive limited subsidies from connectivity providers he will achieve his goal. All in all the tablet will cost less have a bigger market and profits than a macbook. It’s the beginning of the end for the laptop. Have you ever heard of the Mac Mini? I think the need for an even larger bottom line will force Apple to start producing cheaper products soon. Because of the industry they are in, eventually they will do it to keep up with demand. While Apple has always been a premier, aspirational brand, the current economic situation dictates that spending power has decreased, so I think there is definitely room for less expensive Apple products in the lineup if they want to keep their sales figures up. There is no way Apple is going to sell something that is more than an iphone for less than an iphone (quite rightly), so this is >£500 – silly question really, (also it will probably be called ibook). I think that every new piece of technology is not so cheap and becoming available for moderate people is a question of future – will the device become so popular that it will be good move to start mass production over really large scale. I am inclined to agree with your three predictions. I suspect that whatever Apple comes up with will be to take on Google with its new entry into the mobile segment. While a lower price may improve sales for such a device, it is still not in Apple’s best interest to price this too low. For one, it costs a lot of money to develop and manufacture quality products. Secondly, a low price lowers the value of the brand. Customers who have paid high prices for previous hardware may become bitter. All in all the tablet will cost less have a bigger market and profits than a macbook. It’s the beginning of the end for the laptop. Im sure the tablet will be expensive just because it has the Apple name on it. Most of the stuff released by Apple is expensive but people will still buy it because of Apple’s reputation of having great products. No updates on islate? It still remains a rumour?? Well it is officially no longer just a rumor. They decided to name it iPad which to me is a worse name than iSlate or iTablet. The price levels are actually quite reasonable. To me the ipad definitely looks interesting, and has a few new features which caught my eye but overall I haven’t really seen anything which makes it stand out from other apple products, except maybe the size. But I must admit, the price does seem reasonable. Not a lot of information is know about the Courier, but it is rumored to have dual 7-inch screens that will support multi-touch, and be used for controlling the device, entering text, and drawing. Looking at a recent survey on the rumored Apple iSlate tablet PC, it looks as though potential customers would be willing to pay $700 or so for the device. Well, it will be hard to afford.